Montserrat is a Caribbean island—specifically in the Leeward Islands, which is part of the chain known as the Lesser Antilles, in the British West Indies. It is a British Overseas Territory (BOT). Montserrat measures approximately 16 km (10 mi) in length and 11 km (7 mi) in width, with approximately 40 km (25 mi) of coastline. Montserrat is nicknamed The Emerald Isle of the Caribbean both for its resemblance to coastal Ireland and for the Irish ancestry of many of its inhabitants. An exclusion zone that extends from the south coast of the island north to parts of the Belham Valley was imposed because of the size of the existing volcanic dome and the resulting potential for pyroclastic activity. Visitors are generally not permitted entry into the exclusion zone, but an impressive view of the destruction of Plymouth can be seen from the top of Garibaldi Hill in Isles Bay. Relatively quiet since early 2010, the volcano continues to be closely monitored by the Montserrat Volcano Observatory. It is the most studied volcano in the world and Montserrat has been regarded as a "Modern Day Pompeii" in the Caribbean. Archaeological field work in 2012, in Montserrat's Centre Hills indicated there was an Archaic (pre-Arawak) occupation between 4000 and 2500 BP. Later coastal sites show the presence of the Saladoid culture. A number of Irishmen settled in Montserrat in 1642. The preponderance of Irish in the first wave of European settlers led a leading legal scholar to remark that a "nice question" is whether the original settlers took with them the law of the Kingdom of Ireland insofar as it differed from the law of the Kingdom of England. The Irish being historical allies of the French, especially in their dislike of the English, invited the French to claim the island in 1666. Although no troops were sent by France to maintain control. It was captured shortly afterwards by the English and English control of the island was confirmed under the Treaty of Breda the following year. Despite the seizing by force of the island by the English, the island's legal status is that of a "colony acquired by settlement". In 1782, during the American Revolutionary War, as America's first ally, France captured Montserrat in their war of support of the Americans. The French, not intending on truly colonizing the island, then agreed to return the island to the Great Britain under the 1783 Treaty of Paris. The Irish constituted the largest proportion of the white population from the founding of the colony in 1628. Many were indentured labourers; others were merchants or plantation owners. The geographer Thomas Jeffrey claimed in The West India Atlas (1780) that the majority of those on Montserrat were either Irish or of Irish descent, “so that the use of the Irish language is preserved on the island, even among the Negroes”. The British phonetician John C. Wells conducted research into speech in Montserrat in 1977-78 (which included also Montserratians resident in London). He found media claims that Irish speech, whether Anglo-Irish or Irish Gaelic, influenced contemporary Montserratian speech were largely exaggerated. He found little in phonology, morphology or syntax that could be attributed to Irish influence, and only a small number of Irish words in use, with one case being minnseach [ˈmʲiɲʃəx] for goat. Britain abolished slavery in Montserrat and its other Caribbean territories effective August 1834. During the nineteenth century, falling sugar-prices had an adverse effect on the island's economy, as Brazil and other nations competed in the trade. In 1979, The Beatles producer George Martin, opened AIR Studios Montserrat. The island attracted world-famous musicians, who came to record in the peaceful and lush tropical surroundings of Montserrat. In the early hours of 17 September 1989, Hurricane Hugo, a category 5 storm, struck Montserrat, producing sustained winds of 297 kilometres per hour (185 mph). It damaged more than 90% of the structures on the island. AIR Studios Montserrat closed, and the tourist economy was virtually wiped out. The national bird is the endemic Montserrat oriole (Icterus oberi). The IUCN Red List classifies it as Critically Endangered. Captive populations are held in several zoos in the UK including: Chester Zoo, Zoological Society of London, Jersey Zoo and Royal Zoological Society of Scotland. A species of tarantula simply called the Montserrat Tarantula is native to the island. It was first bred in captivity at the Chester Zoo in August 2016. Montserrat is an internally self-governing overseas territory of the United Kingdom. 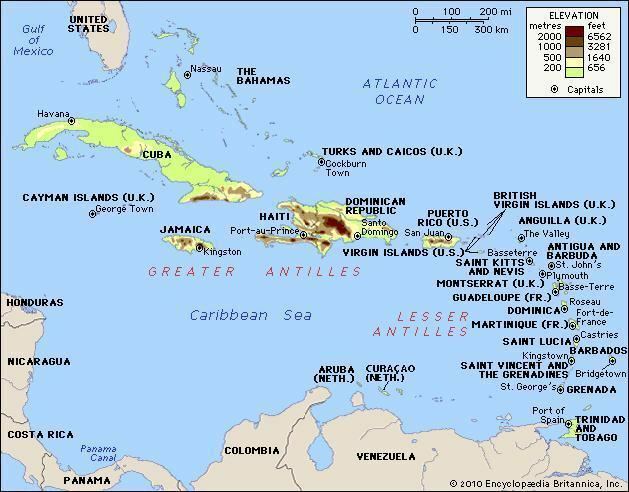 The United Nations Committee on Decolonization includes Montserrat on the United Nations list of Non-Self-Governing Territories. Executive power is exercised by the government, whereby the Premier is the head of government. The Premier is appointed by the Governor from among the members of the Legislative Assembly which consists of nine elected members. Legislative power is vested in both the government and the Legislative Assembly. The Judiciary is independent of the executive and the legislature. Military defence is the responsibility of the United Kingdom. Since the devastations of Hurricane Hugo and the eruption of the Soufrière Hills volcano, the Montserratian economy has been effectively halted. Export businesses based in Montserrat deal primarily in the selling and shipping of aggregate for construction. Imports include virtually everything available for sale on the island. 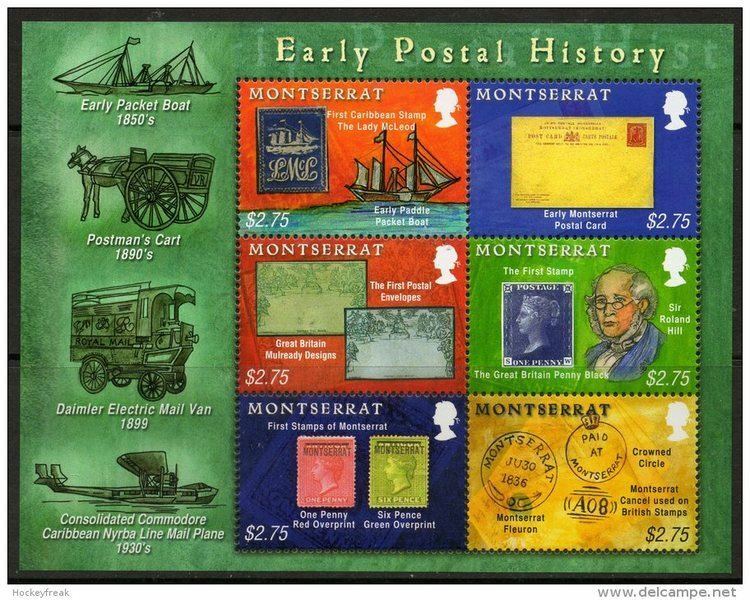 As a British Overseas Territory (BOT), defence of Montserrat remains the responsibility of the United Kingdom. Montserrat is one of the fourteen BOTs that maintains its own military unit, the Royal Montserrat Defence Force. There is also a cadet corps for secondary school students. The island had a population of 5,879 (according to a 2008 estimate). An estimated 8,000 refugees left the island (primarily to the UK) following the resumption of volcanic activity in July 1995; the population was 13,000 in 1994. The 2011 Montserrat census indicated a population of 4,922. In early 2016, the estimated population had reached nearly 5000 primarily due to immigration from other islands. Residents of Montserrat are known as Montserratians. The population consists of a number of ethnic groups, including Black (88.4%), White, Dual Heritage and Creole. The island's population is mainly a mix of Irish and Africans with other minorities. Education in Montserrat is compulsory for children between the ages of 5 and 14, and free up to the age of 17. The only secondary school on the island is the Montserrat Secondary School. In 1977, Sir George Martin fell in love with Montserrat and decided to build the ultimate get-away-from-it-all recording studio. Opened in 1979, AIR Studios Montserrat offered all of the technical facilities of its London predecessor, but with the advantages of an exotic location. For more than a decade, AIR Montserrat played host to classic recording sessions by many famous rock musicians, including Dire Straits, Phil Collins, The Police, Sir Paul McCartney, Sir Elton John, Duran Duran, Yes, Michael Jackson, Stevie Wonder, Sheena Easton, Ultravox, The Rolling Stones, Lou Reed, Black Sabbath and Eric Clapton. Then, in 1989, Hurricane Hugo struck Montserrat, destroying 90% of the island’s structures and bringing the studio's story to an abrupt end. After the volcanic eruptions of 1995 through 1997, and until his death in 2016, George Martin raised funds to help the victims and families on the island. The first event was a star-studded event at London's Royal Albert Hall in September 1997 (Music for Montserrat) featuring many artists who had previously recorded on the island including Paul McCartney, Mark Knopfler, Elton John, Sting, Eric Clapton and Midge Ure. All the proceeds from the show went towards short-term relief for the islanders. Many albums of note were recorded at AIR Studios, including Dire Straits' Brothers in Arms; Duran Duran's Seven and the Ragged Tiger, the Police's Ghost in the Machine and Synchronicity (the video for "Every Little Thing She Does Is Magic" was filmed in Montserrat, but the song ironically was the only one on Ghost in the Machine not recorded there), and Jimmy Buffett's Volcano (named for Soufrière Hills). After sustaining severe damage from Hurricane Hugo in 1989, the studio is now a ruin. Ian Anderson (of Jethro Tull) recorded the song "Montserrat" off The Secret Language of Birds in tribute to the volcanic difficulties and feeling among residents of being abandoned by the UK government. Villages and towns that are within the safe zone are shown in boldface. Settlements known to be within the exclusion zone are shown in italics, since they cannot be accessed and are no longer habitable. See also List of settlements abandoned after the 1997 Soufrière Hills eruption. Alphonsus "Arrow" Cassell, musician known for his soca song "Hot Hot Hot", which sold over four million copies.